LG is a nice competitor of Samsung, Sony and more not only in smart mobiles and also in smart watches, in that list LG going launched its G watch with the price of £219.99, let’s read this review to know more about its features and specifications. LG G Watch is unique when compared to the other smart watches; it allows you to do everything with the voice recognition, if you want to start your search you can simply say “Ok Google” to embark the search and do same to end your search session. It will remain your remainders, workers and alert you by notifications about your recent software updates and you can also send message by voice. It can be compatible to smart mobiles which having 4.3 android version as well as other higher operating systems. It resembles the Samsung Gear 2 because both can be use even though in rainy days and it is protected from the water and dust. Single charge is good enough to do your daily activities with it. The LG G Watch is compatible with the android 4.3 and higher too; you can change the strap of the LG G Watch with different colors and make yourself more unique and style. The LG G Watch has 1.65 inches of display with the IPS LCD technology and it measures 37.9×46.5×9.95 mm of dimension and looks greater. The LG G Watch is powered by the 400 mAh battery of capacity of battery and it has the Qualcomm® Snapdragon™ 400 processor clocked with the 1.2GHz and connects your device to your smart mobile by 4.0 Bluetooth. The LG G Watch has the 512 MB RAM and 4GB of internal storage, which has the nine axis Accelerometer, Compass, and Gyro sensors. 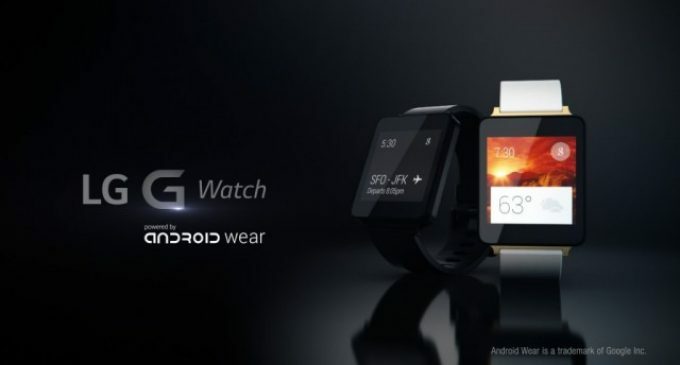 The sensors will increases the sensing capacity of the LG G Watch more. 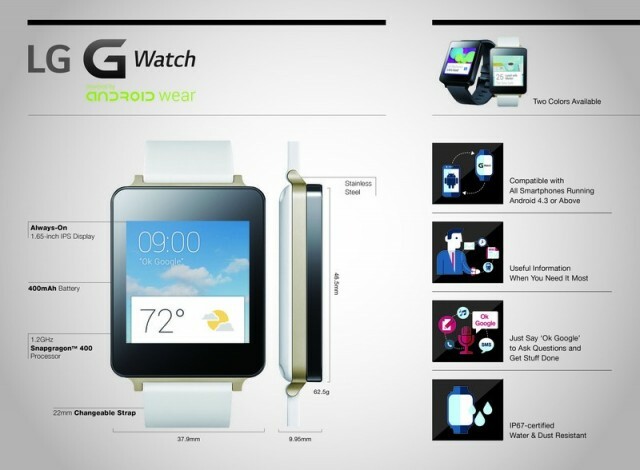 These are the important features of the LG G Watch and induce you to procure it immediately.